Canine cuties from the Sonoma Humane Society at a winery event. Photography courtesy Mutt Lynch Winery. The wines’ creative labels, nearly all of which are a play on dog themes, have also won them a great deal of notoriety. Their labels are catchy — or should I say fetchy — with clever names like Canis Major Syrah or Merlot Over and Play Dead, along with evocative images of dogs on the labels. “We wanted people to be attracted by dogs so they go, ‘Ahhhh, that’s cute,” but the best is when they taste the wine and go, “Ohhhh!” Brenda said. The winery’s limited mbf Zinfandel, with a picture of an open-faced black Labrador on the label, and the Primativo and Petite Sirah are regular medal winners. 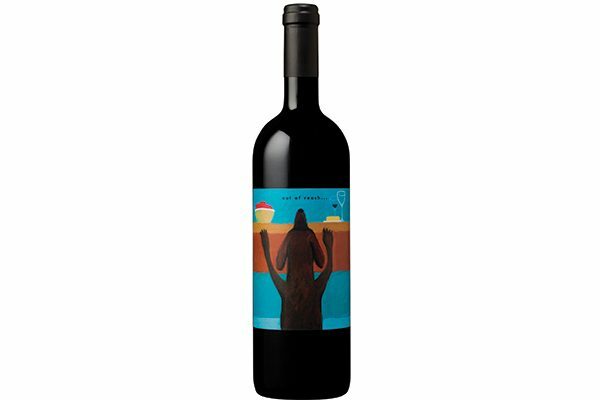 Their more creative and colorful labels are offered under the heading of “dog series.” The label images, such as a dog dancing with abandon on the Unleashed Chardonnay, are more whimsical. Designed by Rae Huestis Designs, the Mutt Lynch Winery’s labels have won numerous awards, including winning repeated honors at the San Franciso Chronicle Wine Competition, perhaps the most prestigious competitions on the west coast. Brenda Lynch and her beloved dog, Patches. Photography courtesy Mutt Lynch Winery. 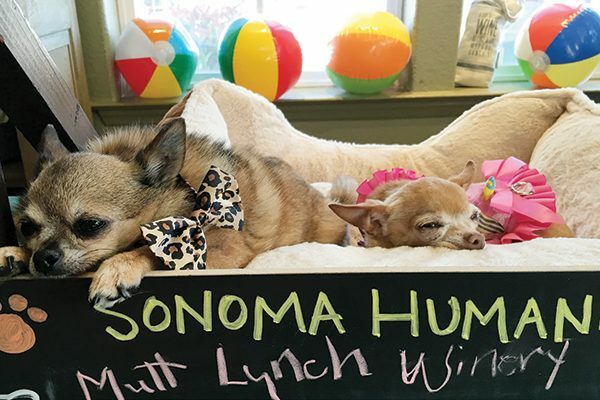 But no matter how many awards Mutt Lynch Winery wins, there is vital connection between the wines’ dog themes and images, and the Lynches’ work on behalf of dogs. A portion of all their sales goes to dog-oriented nonprofits, and the Lynches regularly donate or discount cases of wine to events that raise money for dogs. They also hold fundraising events in their tasting room. The events, of course, are aptly named: Bark Mitzvah, Howl-O-Ween and Yappy Hour, to name a few. The winery partners with Adopt a Pet, a pet adoption website in North America, and helps support dozens of nonprofits throughout California and around the country. One of Mutt Lynch Winery’s dog-inspired wines. Photography courtesy Mutt Lynch Winery. Brenda said she’s not entirely sure where the winery will be in 10 years, but she hopes it will be able to continue as it has been. 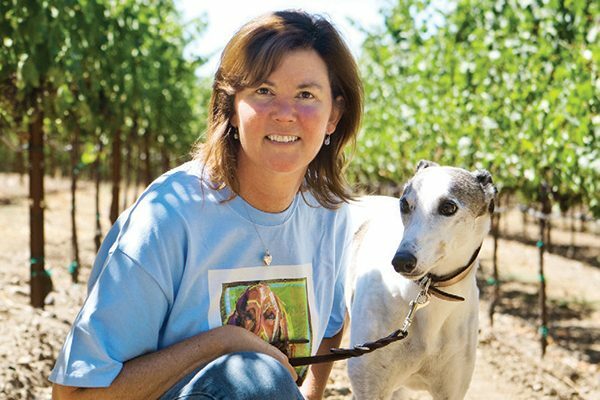 Brenda and Chris’ twin passions for making quality wines and helping dogs has been very rewarding for them. John Geluardi has worked as a journalist for 15 years, mostly as a political reporter. He has written feature-length stories on culture, crime and presidential campaigns and has won numerous first-place awards for his stories. He published his book Cannabiz: The Explosive Rise of the Medical Marijuana Industry in 2010. John is a longtime dog owner and dedicated student of the language of dogs. Each day, he looks forward to long walks with his dog, Corso. The post Mutt Lynch Winery Develops Dog-Inspired Wines — And Gives Back appeared first on Dogster.